I used to do Obon with my granma and granpa when I was child. When I start to work, my granpa didn't do Obon together. He went to the otherside of world..then after several years later, my grapnma also went to the otherside of wold. After that, I don't celebrate obon for several years. I miss the time and I want to see everyone. hmm. Cucumber hourse : Do you wanna ride? 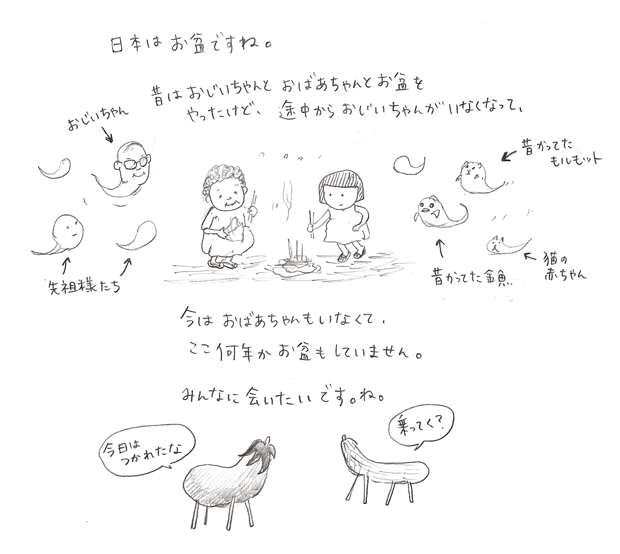 *In some area in Japan, Cucumber horse and Eggplant cow are often made for Obon. They will give a ride for ancient souls.